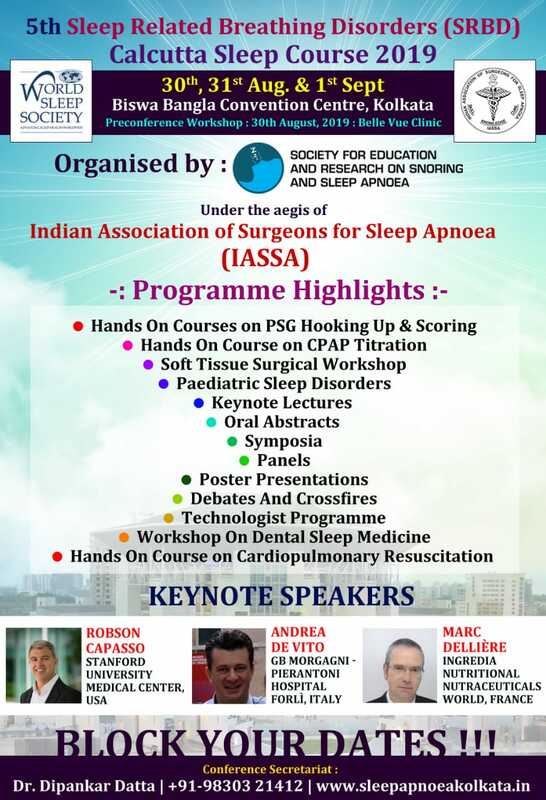 Announcement : Annual Sleep Apnoea Conference IASSACON 2018, Pondicherry. Kolkata – 700017, West Bengal, India. It is a matter of great personal pleasure for me to invite you to this website on snoring and sleep apnoea. The aim is to promote awareness and discussion on latest concepts and approaches for the prevention and treatment of sleep apnoea and snoring. Snoring can not only make your bed-partner unhappy, it results in totally distributed sleep and lots of health hazards. A good sleep, needless to say, is extremely important for the well being of a person. While over 100 million people snore at least occasionally, for most, the condition is more annoying than dangerous. But if left untreated, snoring can worsen over time, and can be a warning sign of a serious disease called obstructive sleep apnoea. It is nothing but apnoeic episodes (i.e. no respiration or momentary breath holding spells) during sleep due to obstruction at different levels in upper airway. In addition to obvious danger of probable heart attack, sleep apnoea also interruption and countless restless nights. There is a data from American Academy of Otolaryngology-Head Neck Surgery that, in the US, those who snore get an average of 1.4 hours less sleep at night. All these result in daytime sleepiness, lethargy, lack of concentration, early morning headache, high blood pressure, diabetes, depression and cardio-vascular problems including sudden death from heart failure during sleep. Clearly, snoring is no longer being laughed off. Hope I have kept this text short and interesting. Let the resistance dissolve …!! Sleep Apnoea has been fast emerging as one of the major health hazards in all across the country including in our city Kolkata. Well, as per the doctors and medical experts if the trend goes on like this then it is indeed a matter of concern. They further opine that all this happens mainly due to the abnormal lifestyle that we all currently going through due to growing work pressure that compelling people to work till late night thus disrupting normal sleeping time. Sleep Apnoea is a situation that lets interrupted breathing all during the sleep and patients suffering from this used to snore loudly. The breathing of these people during sleep may be noisy and often is interrupted by gasping and snorting with each episode of apnea. Thus, as a result due to this repeated disruption of sleep can make the patient feel sleepy and tired all throughout the day. Therefore, with the rising trend of Sleep Apnoea in Kolkata there has been increasing demand for Sleep Apnoea Treatment in Kolkata and many leading private hospitals in the city are now offering this treatment. 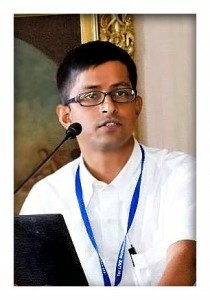 In this regard, Dr. Dipankar Datta’s clinic can be the best option for you. He is an experienced doctor in this field and thus at his clinic he offers complete snoring treatment in Kolkata at a very affordable price. Well, Dr. Dipankar Datta is regarded as one of the leading ENT Consultant in Kolkata and for last few years, he is treating many people suffering from Sleep Apnoea. Right now many surgeries have come up as a last resort to treatment in treating Sleep Apnoea like Tracheotomy, and it is done when your upper throat airways get blocked. Well, similarly surgeries like Uvulopalatopharyngoplasty are done for removing tissues located in the throat for widening the airway. It is the most common types of surgery for treating Sleep Apnoea among the adults. Very recently sleep endoscopy in Kolkata have become very popular which is one of the advanced surgical procedure available right now to treat sleeping issues. You are glad to know that your patient Subhodwip Das,student of class nine aged 13 years is fully recover from his problems. Subhodwip initially suffering from tonsil,breathing problem and also nasal sound. After microsergary operation in throat and nose both Subhodwip is fully recover from his problem.Thank You DR. Dipankar Dutta for your nobel help.